Xueshan or Hsuehshan (Chinese: 雪山; pinyin: Xuě Shān; literally: "Snow Mountain") a mountain in Heping District, Taichung, Taiwan. 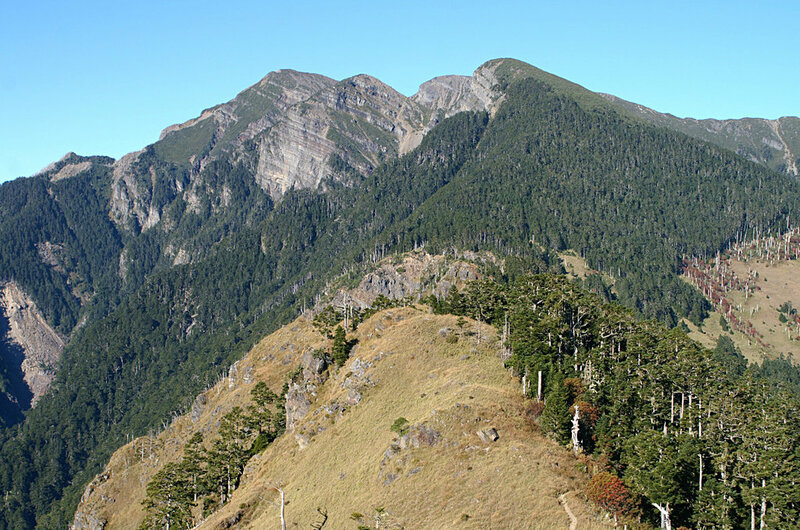 It is the second highest mountain in Taiwan and in East Asia, at 3,886 m (12,749 ft) above sea level. It is located in the Shei-Pa National Park and it is visible in good weather from hills near Taiwan's capital Taipei. In the late 19th and early 20th centuries, it was known to Westerners as Mt. Sylvia. In 1923 (see Taiwan under Japanese rule), the mountain gained the name Tsugitakayama (次高山), literally the "Second Highest Mountain", because in the Japanese Empire at that time, only Yushan (also in Taiwan) was higher. They are both ahead of Mt. Fuji in terms of height. It was designated part of the Tsugitaka-Taroko National Park by the Governor-General of Taiwan on December 12, 1937. Do you have photos of Xueshan Main Peak or know something about it? Please let us know!